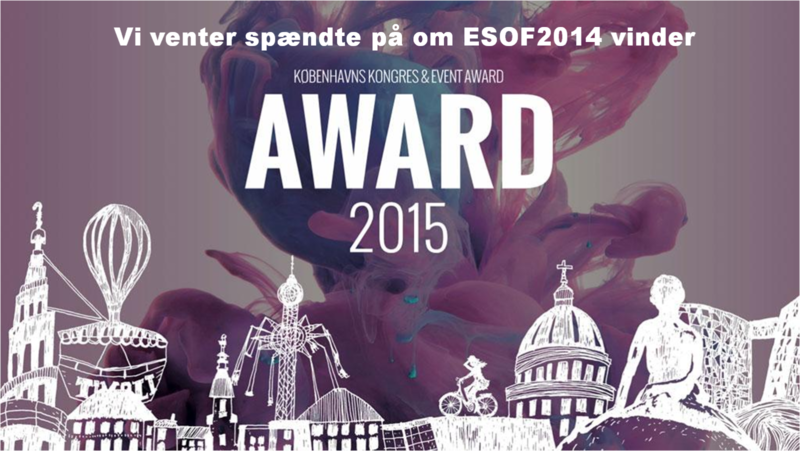 Euroscience Open Forum – ESOF 2014 & Science in the City Festival Scientific congress and festival. 4000 conference delegates, 87 countries, 130 and 130 session. 38.000 festival guests, 200 events and 84 partners arranged in TAP1 and all over the rest of Carlsberg Byen d. 21.-26. juni 2014. Arranged by the Education and Science Ministry, EuroScience and orchestrated by the event & congress agency Crone & Co.